If you are not currently using a VPN ( a “Virtual Private Network” [remote server connection]) to help restore privacy to your online world, then you probably are not aware that about 20% internet users worldwide in 2016 already periodically use a VPN to help them connect to the full global internet; especially in totalitarian countries that ban such services such as youtube. People’s motivations vary from reason to reason (and there are quite a number of good reasons; many of them we’ll cover in this article). Reasons typically vary from a desire for privacy & increased anonyminity and general security, to overcoming censorship, and even *improving* their internet connection globally as some ISP restrict, limit (or as it is termed “shape”), connection speeds to certain websites – making them less attractive to use, some ISPs block p2p (peer to peer connection such as torrents) , and some VPNs supply data buffering to help even out slower, or shaped/moderated, connections. How did VPNs come about? 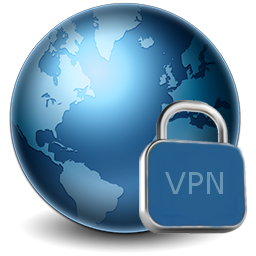 In this article we will go over the history of this technology of how VPN use has generally progressed over time. In a subsequent article we’ll go more into advanced topics such as encryption. In the late 1990s, PPTP (that is “Point-to-Point Tunneling Protocol”) was developed. PPTP was the first internet protocol for creating virtual networks. This is one aspect of technology Microsoft was a leader (instead of a follower or hijacker in some cases) in pioneering; as much of PTPP was initially developed in-house at Microsoft. Microsoft saw the growing need to allow internet users to have a secure/encrypted connection to work effectively and securely from home – for companies to be able to provide a work-from-anywhere infrastructure. PTPP a big milestone event and henceforth set the stage for the birth and evolution Virtual Private Networks. Over the years, different types of VPN technology have come about. Today there are different types of VPNs (mainly Personal and Corporate) with different protocols (PPTP, OpenVPN, L2TP/IPsec, SoftEther, SSTP). How does VPN security work? A VPN is technically a WAN (Wide Area Network). the front end (that is, your browser or other connected application) retains the same functionality and appearance as it would your ISPs unsecured, point or origin, network. You are probably wondering just how it all works. It can appear to be a complicated business, with unfamiliar words like ‘encapsulation’ and ‘tunnelling’. Don’t be scared though, using a VPN just requires a couple of mouse clicks, and sometimes, depending on your setup – a user name and or perhaps just a password to log into the remote VPN server. You already know from having read the above, a VPN secures traffic to & from your computer straight through your ISP connection; so hackers nor creepy spies (creepies) will be able see your data or keyboard inputs while it is in transmission (and most importantly your IP address is changed to your VPN ip-address). There has been a lot of buzz recently about “Cloud Hosting”. But how does that really relate to how websites are hosted, with the great majority of hosting accounts hosted in a manner known as ‘shared hosting’. Cloud offers distributed scale-out storage as well as virtualized infrastructure. However, more than 9 of 10 websites out there are small business, personal or hobbyist websites – which see no visible benefit to the site administrators or the site visitor when served from a conventional standalone shared server compared to from a virtualized and distributed cluster of servers. 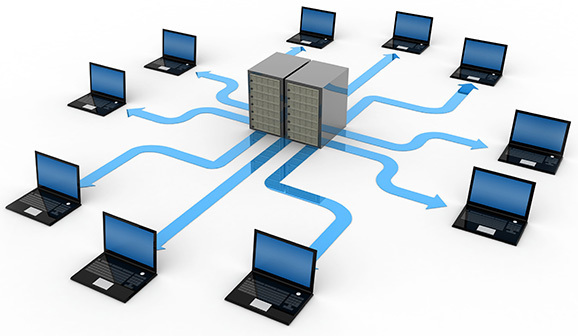 The benefits of a cloud or hosting based on a clustered arrangement of servers are recognized with larger scale websites, deploying enterprise level applications, or websites is expected to suddenly serve enormous spike in traffic at times – such as hosting a video conference with hundreds or thousands of participants. At 4GoodHosting, we have been serving out thousands of long-term (and happy) hosting customers for well over a decade. Our servers today are state-of-the-art and powerful. About every two years, we upgrade our shared hosting server with new faster equipment, RAID hard-drive data redundancy, plus disaster recover servers, and also solid-state SSD storage for SSD-hosting customers. Our up-time for the past year has been better than 99.9%; and besides infrequent server restarts, our shared hosting servers have been 100% reliable. Whenever a hard-drive, in one of our dozens of shared hosting servers, starts showing a sign of wear-and-tear (and we have special monitoring software for that), we replace it immediately with no downtime for our clients – due to our redundant RAID storage architecture. So, in order to keep our hosting consistently low, we plan to continue hosting our customer’s website on state-of-the-art stand-alone shared hosting servers. We don’t see shared hosting or virtual private server (VPS) hosting going away, we see it continuing strong into the future. Also, we believe in standard monthly pricing to give our customer’s more peace of mind; as we strive to keep our prices as low as possible across the board. Shared hosting and virtual private servers have traditionally offered standardized pricing which is not variable. In contrast, the cloud offers “elastic-pricing” or scalable buckets of compute and storage. However, our clients enjoy better peace of mind knowing exactly that their bill will the same each month, or year; so simple or proper budgeting can be made. It is simply better to know that one will be charged say $4.95/month for personal website hosting, instead of some variable between $2 and perhaps $20. 4GoodHosting isn’t a company that tries hard to upsell customers on new services and products. We only suggest a hosting upgrade when it becomes critically needed. We will open a support ticket showing our customers if and when their website is using resources beyond their current hosting plan, and that actually quite infrequently. If your website is a start-up with applications or other services that might rapidly grow with demand, then our specialized server monitoring software will alert us if a particular domain account is approaching its resource allocation. In that case, it is a quick and seamless process for us to upgrade a customer to another hosting plan, a VPS, or perhaps even a dedicated server for high resource demand scenarios. From a pricing perspective, our goal has been to have a model that is easily understandable, easily fits into our client’s monthly or yearly accounting and doesn’t expose individual customer to unexpected variability in monthly costs. Also, what we like to focus on is security, from various types of attacks on our customer’s account of servers. Cloud security is relatively a new frontier in server (and website) security. Shared hosting has been around for about 2 decades and has become very reliable and robust. We have protected our servers with hardware and software firewalls and we have tuned all settings to guard against all known attacks, hacking, spoof attempts, etc. This has made 4GoodHosting one of the top-most hosting customers in terms of reliability. Also our 24/7 support is excellent, as reflected in our long-time A+ BBB rating. We have become masters of support and website security. What is meant by NoSQL databases? NoSQL databases schemas and applications have now emerged into the mainstream as a modern tool for organizations battling big data requirements. But what does NoSQL actually imply, and what advantages and disadvantages does NoSQL deliver for data storage? Here is everything you ever wanted to know but were afraid to ask about NoSQL. To begin with, NoSQL”is not a specific database product. It is a term that refers to a general category of database methodology and techniques; and a handful of vendors have implemented NoSQL administration in different ways. Yet all NoSQL products share a basic defining characteristic; which is that NoSQL implementations do not use the “relational-database” model of traditional SQL-style databases; such as currently ubiquitous in shared hosting “MySQL”. Gaining an understanding of exactly what NoSQL means requires a recap on how most databases today have typically functioned for the past several decades. With a relational database like MySQL, the database architect or programmer needs to define and detail in advance where the data is going to be stored. Different tables are created, different pieces of data are stored inside different tables, and data is retrieved based on table structure. So MySQL, and other relational databases, are close to perfect if you know ahead of time what structure your data will be represented in; and also have a sense of how much data that will need to be stored. But what happens when your storage needs not so predictable? What if your applications data storage needs to be highly scalable? Relational databases don’t work quite so well in those situations. NoSQL allow you to stream data into a database without defining a formal storage structure ahead of time. As a result you do not need to write as much cryptic code for an application to interact with the database. Also you can retrieve data quickly without having to tell your application where precisely to pinpoint what data you want within a large, rigid, syntactically very sensitive database structure. NoSQL DB’s also tends to scale better as they are designed to be able to run easily on distributed or clustered environments. NoSQL databases are designed to run across multiple servers – at the same time – and still appear to your application like a single database. This methodology makes it alot easier to add more storage quickly whenever alot more data is to be stored. This is a key advantage in an era when cloud & “internet of Things” devices are creating an environment of rapidly changing data storage needs. Traditional databases were designed before clusters, and “the cloud”, became the norm. Distributing databases across multiple hosts, or “shard”ing relational databases is more complicated than using NoSQL databases. Relational databases also tend to require more expensive servers, but NoSQL databases have proven to be able to shard on cheaper commodity hardware. The 3rd big advantage which most NoSQL databases offer is “open source”-ness. True, several relational databases, including MySQL, are now open source as well – but they were not always so open. Migrating Your Website to 4GoodHosting is as easy as 1..2..3..4..
Migrating to a better web hosting company is so risky or difficult risky as you might think. 4GoodHosting makes it easy to migrate all of your data, domains, emails, and entire websites – with our *free* (that is; no hidden strings attached) transfer/migration service; while all you have to do is relax and trust our A+ BBB rating. 4GoodHosting’s server engineers, or admins/technicians are already in place to guide you through the process and ensure your migration is completed successfully to your full satisfaction. Our experienced professionals are expertly trained at transferring websites: your files, applications, databases, and email accounts. Our service agents will guide you through all the typical steps, and we will begin your website transfer the very same day that you sign up for web hosting with 4GoodHosting! Note: If your previous host utilizes cPanel (control panel), then your website can be migrated seamlessly with zero downtime! We’ve even have a special offer for those customers who are reading this blog and have decided to switch from a competitor! You just need to ask for it by writing us at support @ 4goodhosting.com You will receive an extra complimentary month (for shared hosting accounts) with a year of pre-paid hosting (13 months – a baker’s dozen if you will). Note: we do require a yearly billing schedule and 1-year pre-payment 4 our free transfer service. 4GoodHosting has been dedicated to providing Canadian based web hosting solutions for small, medium & large scale businesses as well as hobbiest websites for folks from around the world. See our web hosting plans. Once you have signed up (and paid up), you will receive a 4GoodHosting welcome email in your inbox. Save this email as it will contain the login details for your cPanel (that is, control panel) – as well as 4GoodHosting’s domain name servers (DNS). Ready – Set –Transfer Your Site! Now that you have an active account with 4GoodHosting, please then submit a support ticket for your transfer request from customer portal account. (or you can simply email us at support@4goodhosting.com). 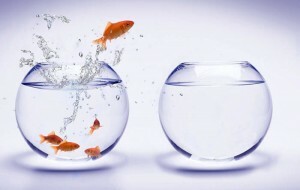 Just let us know how we can best help you, and a technician will reply as soon as possible to begin the migration. Our team will begin working on the migration and will handle everything related to transferring your files, emails, DNS settings, etc. When you submit your transfer request ticket – provide us with access to your current hosting providers control panel. If your current host uses cPanel we would need the login information. If your host does not use cPanel then we’ll need access to their control panel interface to download your files, email, and databases. At some point during this process, you will receive an email asking to update the DNS on your domain to our name servers. Our super-duper friendly support team will detail to you exactly how to do this, step by step. Website transfers can take from 1 hour to 48 hours (average 4 hours) depending on the size of your website(s). 4GoodHosting will ensure your website is transferred correctly without any issues or downtime!